Robert O. Mason, 70, a Carson City resident for the past 14 years, died May 27, 2003, in Carson City. 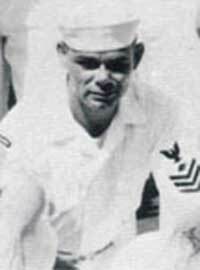 He was born March 30, 1933, in Watertown, N.Y.
Mr. Mason was a retired Navy veteran of the Korean and Vietnam wars, having served aboard USS Skagit from 1960-1966. For the past 10 years, he worked for the Parks and Recreation Department in Carson City. Among his survivors are his wife of 38 years, Eunice, of Carson City; daughter and son-in-law, Michele and Todd Potter of Boise, Idaho; and daughter, Marissa Guhl of San Diego, Calif.
Walton's Chapel of the Valley is in charge of arrangements.